JSP MVC- MVC is a layout pattern and used to isolate the information, presentation logic, business logic. Following are three parts of MVC. The prime advantage of JSP MVC is the controlling an application in easy way. The Model segment compares to every one of the information related rationale that the client works with. This can speak to either the information that is being exchanged between the View and Controller segments or some other business rationale related information. The View part is utilized for all the UI rationale of the application. For instance, the Customer perspective would incorporate all the UI segments, for example, content boxes, dropdowns, and so on that the last client connects with. Controllers go about as an interface amongst Model and View segments to process all the business rationale and approaching solicitations, control information utilizing the Model part and cooperate with the Views to render the last yield. 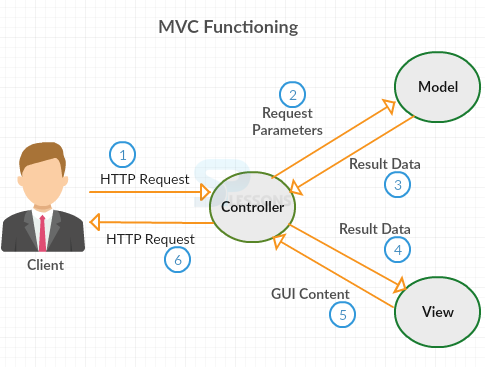 JSP MVC- Controller acts as an interface between View and Model. Controller intercepts all the incoming requests, it will have software code. Model represents the state of the application i.e. data. It can also have business logic. View is used to give the response to an user. 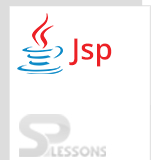 Here used JSP as a view component, JAVA Bean class as a model, servlet as a controller. Created object to the LoginBean and applied setAttribute method. Used validation method to the status, to validate the conditions. Created password name as admin. If user need dynamic password then database is needed. You are successfully logged in! After enter the name and password(admin) following page will be displayed. The view renders the model into a structure appropriate for connection. View shows the information base records. JSP MVC can separate the business logic.